Sometimes we find gratitude in places where we least expect it. I love Wendy Mogul’s book, “The Blessing of a Skinned Knee.” In this book, Mogul says that parents should allow their children to experience the world in its entirety, including the difficult, sad, and disappointing stuff. The consequences of their own decisions teach children better than anything else could. Little did I know, that there are actual blessings from actual skinned knees. Even for grown ups. Tonight, I had a little mishap while riding my bike. A young boy, probably 10 or 11, cut me off and his bike and my bike collided. I went flying across the bike path, praying the entire time that I wouldn’t fall really hard or seriously hurt anything. 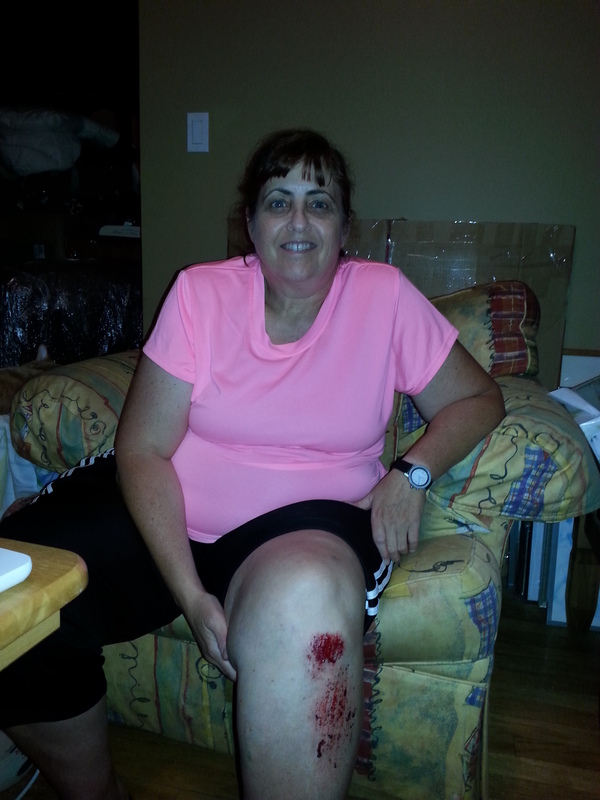 Once on the ground, I saw my left leg bleeding with a serious case of road rash. I was covered with sand (It was the lake path, after all) and my bike was on top of me. The boy ran over, clearly feeling terrible, and pulled my bike off of me. At this point, I was annoyed and in pain. I barked a little at the boy about not cutting people off and barked a little more to get him to move my bike out of the way. I was ready for a pity party because clearly, my injuries were a big deal. And I was in my 50’s! Even more reason to pity me. I did decide to finish my ride, which meant continuing forward a few more miles before turning around and riding home. Once I got to my turn around point at Navy Pier, I took a little break. And as I stood there at the drinking fountain, scrubbing my hands to get the grease off, what happened next completely reframed my thinking. A young man saw my leg and expressed concern. He was so kind and warm and encouraging. I eventually told him, “If this had happened to one of my kids, I would have said, ‘You are fine! Buck up! '” So he looked at me with an impish grin and said, “Well, then. Buck up!” He was right. I needed to end the pity party and get over it. I had just bought a new pair of biking capris and was considering wearing them on this ride. Had I worn them, they would have been torn. To continue on the clothing front, I have a little blood on my shorts and perhaps some grease, but essentially, no clothing was ruined in the making of this skinned knee. When I fell, a really nice guy came over to me and understood that standing up was going to be a challenge. So he put out his hands and actually pulled me up. Not an easy job, for sure. But it was easier for him than it would have been 50+ pounds ago. Once I was standing, I lost count of how many people stopped to ask me if I was ok. This happened right after I fell too. They came over to me, stopped, looked me in the face and asked me if I was ok or if I needed anything. Humans can be ok sometimes. There was no major damage to my bike and I was able to fix my bike myself. And I was able to get most of the grease off of my hands with only water and a few pieces of tissue. Sometimes we all need a guy like the one I met at the halfway point who told me to buck up. When I stopped at the halfway point, I also met a mom with her 3 young kids. Her youngest daughter was named Sofia. Like my Sophia. That always makes me happy. I always knew I was pretty strong and pretty tough. However, tonight will provide me with some reinforcement should I ever forget. I finished my damn ride. The whole thing. I didn’t wimp out and cut it short. I bet that young boy with whom I collided is going to be a little bit more careful on future bike rides. By normal standards, tonight was not my best bike ride. I fell off my bike, have some nasty road rash, swallowed one bug, and got another in my eye. And in a few minutes, I will go in the shower and wince at least a little bit as I clean up my injury. What I have learned, however, is that I move perhaps a little too quickly in difficult experiences to anger and thinking negatively. I am going to challenge myself to reframe my thinking during these moments. Because, as I discovered tonight, there is generally much more that is positive in most experiences (certainly with some exceptions) than negative. And when I focus on that, I am a much happier person. This post is part the Lightspan Digital #MarketingHop on “Social Media for Social Good,” in which bloggers were asked to share their story about how people are using social media to raise money, awareness, communicate with volunteers and otherwise further their cause and grow their organization. People who know me know I love social media. As a connector, the allure of being able to interact with unlimited numbers of people is irresistible. Twitter used to be my “drug” of choice. However, since the creation of groups on Facebook, I find myself almost ignoring Twitter. Facebook groups are where I spend the vast majority of my time on social media. Last spring, I created a group for nonprofit professionals in Chicago. I have been networking and working with that crowd for years and was frustrated that there was no one place where I could share information and connect people who would benefit from knowing each other. I started the group with 40 Facebook friends who were nonprofit professionals in Chicago. It quickly grew and we are now approaching 200 members. In this group, people post requests for help, nonprofit job openings, articles they’ve read, great tools they have discovered, and upcoming events in Chicago. Group members have met and connected with others who they very likely never would have encountered, and have had great things happen because of those connections. Open: Everyone can see the group, who is in the group, and the conversations that take place. Closed: Everyone can see the group and who is in the group, but only members can view the conversations in the group. Secret: The group, its members, and conversations can only be seen by those in the group. 2. At the top of the group you are able to add a photo of your choosing. The default setting displays photos of group members who most recently participated in group conversations. This is the top of a Facebook group. 3. Groups search can be utilized to find conversations by members or topics that have been discussed. Search is the magnifying glass on the far right. These are where you access the tools in Facebook groups, right under the group photo. 4. Files can be created in the group. These files can keep the group conversation clean and even eliminate self-promotional posts by members. They are created by clicking on the word “Files” as shown in the photo above. Once you click it, the screen below will appear. In our group, as soon as someone is added, I create a welcome post. In that post, I refer them to a file on group rules and regulations and request that they add their contact information to our members contact information file. 5. Events for group members can be created via the tab near the Files tab in the group. The event is displayed the same as other Facebook events, but everyone in the group is automatically included and event updates show up in the group conversation. 6. Important posts in the group can be pinned to the top so that, regardless of other conversations, those posts remain the top item visible to members when they enter the group. Hovering over the right corner of a post and then clicking the arrow reveals the option to pin that post. 7. Although the location may vary in each group, the words, “Seen by,” followed by a number, indicates how many have seen the post. By hovering over those words, the names of the individuals who have seen the post appear. “Seen by,” in the lower right corner, reveals how many people have seen a post. For me, this is one of my favorite features of groups. Even if a post has not received any comments at all, I am still able to see that people have read it. Group members don’t always have time to share and respond or may feel as though they don’t have anything of value to add to the conversation. But as long as folks continue to check in to what is being discussed in the group, participating when they have time, the group has value. Have you participated in groups on Facebook? What kind of value have those groups added for you? Could you envision a group assisting your nonprofit in its work? Please add your thoughts in the comments below. This post is part of the Lightspan Digital #MarketingHop on social media for social good. Check out other views about what’s working and not working to make change by checking out posts below from community managers, board members, connectors and leaders in the social good community. To continue the conversation please join us in a Twitter Chat with the hashtag #Marketinghop on Tuesday, March 19 at 1 pm CST. 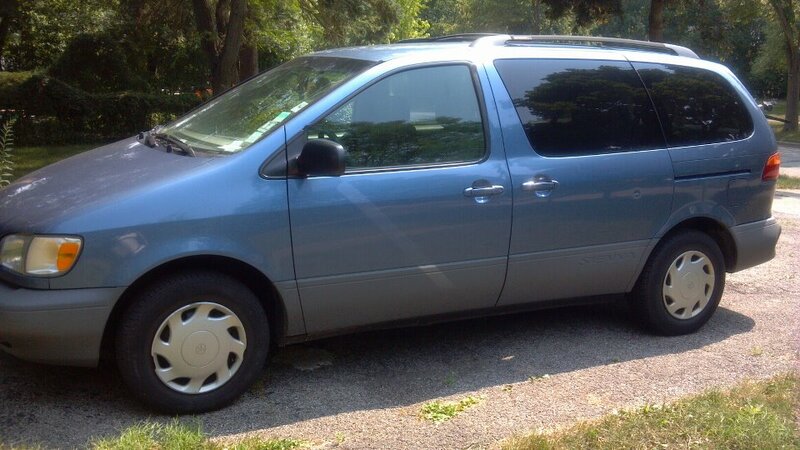 As of midnight on July 1, 2012, we are officially a carless family. Crazy, I know! It has been an evolution of sorts, to get to this point, and part of an overall transformation since my position at a nonprofit was eliminated in June, 2009. Going carless has been on my agenda for a few years. My plan has been to move to the city once my twins started college. They have just finished their freshman year of college, and I am within weeks (hopefully, if the house sale goes through) of moving to the city. The biggest motivation to go carless now is that my license plates expired. In order to renew my plates, my car would need costly repairs. So rather than do those repairs, I decided it made more sense to stop using the car. When I first thought about not owning a car, cost was not a deciding factor. However, between insurance, gas, and maintenance, owning a car is expensive. Once I live in the city, I will be able to get anywhere I need to go without a car. It’s an easy way to save some money. And I love the side benefit of getting loads of exercise by riding my bike or walking without having to build it into my schedule. When I go someplace now, I am getting a workout too! I am definitely concerned about those times when I will “need” a car. On rainy days. When I have something too big to carry on a bike. Or when I just don’t feel like riding my damn bike instead of hopping in the car. But I will get by. There are car share programs like I-GO and ZipCar and rental car companies. It just won’t be quite so convenient and therefore, I won’t do it nearly as often. Which is a good thing for me and for the planet. 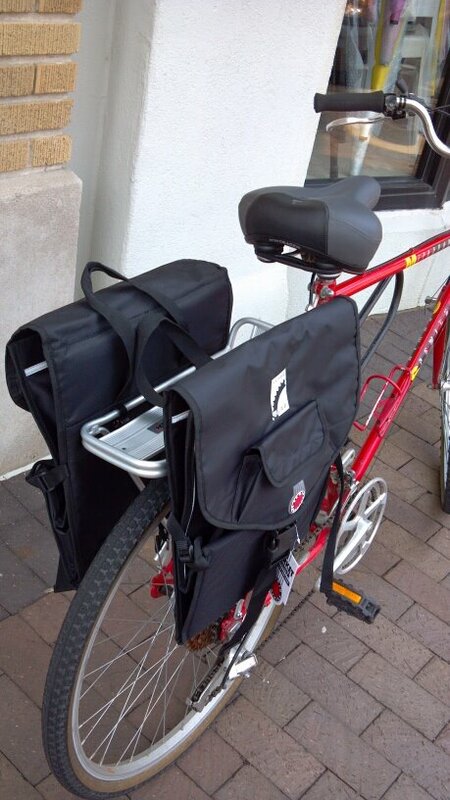 Note: Just discovered this post by my friend Julie Urlaub, Founder of Taiga Company: Declare 4th of July Independence from Your Car – Ride a Bike! I love Open Books. Did you know that Chicago has a low literacy rate of over 50%. I can’t imagine trying to navigate life as an adult, unable to read what I need to, in order to get through my day. 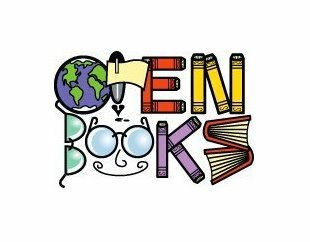 Open Books has the most innovative programs to inspire the love of reading and writing in children and adults. And their bookstore is like none other. LOVE! So when I was approached by Razoo to chair the Chicago efforts for the national give day, Twive and Receive, I said sure! I got to choose the nonprofit that we would be raising money for in Chicago. You may know how I feel about Open Books and its founder, Stacy Ratner. I am not in a position to make substantial donations to the organization. But I can create great momentum to facilitate others giving to this incredible organization. So here’s the deal. Today, June 14th, is a national competition. Cities all around the country are spending 24 hours fundraising for their chosen organization. The top 3 fundraising cities will receive additional funds of $15,000, $10,000, and $5,000. How I would love for Open Books to be one of those winners! 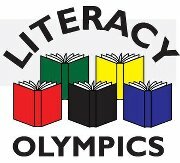 If you are in Chicago, join us at Open Books for Literacy Olympics, tonight, from 6-9:00 pm. We’ll have silly and nerdy book games, delicious Wow Bao to eat, and loads of fun. It is $15 to come in and $25 to join in the game playing. Support the power of books! If you can’t come, PLEASE go into this site and make your donation to support Open Books. Every gift, no matter the size, will make a difference. So whether you can give $5.00 or $500, please support Open Books. If literacy and Open Books are not your passion, but you feel connected to me, then do it for me. I can’t even begin to describe what a critical role Stacy Ratner has played for me as I have navigated this journey over the past 3 years. And if you are on Twitter, the hashtag is #twivereceive. Thank you! Hope to see you at Open Books tonight and/or your donation in the tally on the Twive and Receive site. I am a really good connector. Connecting is like my crack cocaine. I see the extraordinary potential of putting the right people together. I want to see it happening on a much larger scale, beyond what I, as one person, am able to do. A few years ago, I had an idea. And now I am ready to plant my flag in the sand to make it happen. Imagine a space that serves as the central connecting spot for social good in Chicago. The purpose of this space would be to bring together nonprofit organizations that are working on the same issues and help them join efforts. I see three major components to what this space could provide. If we want nonprofit organizations to work together, we need to have affordable (or free) spaces in which they can meet. They need to learn about each other and will hopefully want to provide exciting community events that they create together. We would have facilitators to help develop these relationships because getting organizations to understand, let alone embrace, the concept of collaboration, when they want to protect their turf, is no easy task. Years ago, at a volunteer recruitment event, I met people from two west side nonprofits. One provided literacy and tutoring for children and one ran a summer baseball league for children the same age. They didn’t know about each other but they should have. There are unlimited possibilities for those two organizations to work together to inspire baseball players to do better in school. This scenario repeats itself over and over again in Chicago. By introducing organizations to each other and bringing them together on a regular basis, we can begin to form these partnerships that will lead to exciting collaborations. Nonprofits use office supplies like paper and ink jet cartridges. They hire professionals like web developers and lawyers. But they are not coordinating these efforts with other organizations to save money. There is power in group purchasing. The vast majority of nonprofit organizations are struggling financially. By bringing organizations together for purchasing, there will be significant financial savings. Additionally, by having a preferred vendor list, we will save time for nonprofits who need to hire professionals or companies for services because they won’t need to spend time finding these vendors. Eventually, this could also lead to discounts for membership in professional organizations or for participation at conferences. Nonprofit professionals need to wear many hats. And there is no one reliable and affordable place to receive additional training. Whether it is how to best utilize social media, learn about the best technology tools for content relationship management (crm) or how to find corporate sponsors, we need more opportunities for our nonprofit professionals to continue to improve their skills. This site could be a provider of those great learning opportunities. 1. I need to find a partner-someone who has business skills who can be the anchor. They don’t need to provide financial backing, but they do need to be able to create strategy, to break large tasks into small digestible pieces, and to know a thing or two about running a business. If you know anyone who might be a good fit to work with me on this in Chicago, send them my way. 2. I am going to set up a weekly meeting for anyone in the nonprofit world who wants to come together to talk. We may not have a physical site, but we can begin to talk and to meet and to get to know each other. We will be meeting initially at ING Direct Cafe starting Thursday, March 29th from at least 10:00 am until 12:00 noon every week. (Probably most of the day.) Join me there. And tell other people too. I will be available to chat about anything you are interested in and over time, I will arrange to have some interesting people with different areas of expertise join us. If you like this idea of a nonprofit connecting space, please share it with others you know. If you want to help me build it, please join in! And if you have any input or feedback, please share that as well. Let’s meet in the comments for more conversation. I am eager to hear what you have to say. 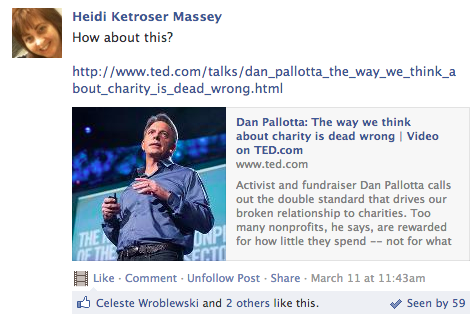 “At the juncture of tech and nonprofits.” That is one of the descriptions I put in my Twitter bio. It is a relatively new place for me. I am not really a highly skilled techie type. However, living in this space has exposed me to a boatload of folks doing all kinds of great tech work for nonprofits. And much of what is available is for free. Yes, you read that right. For free. 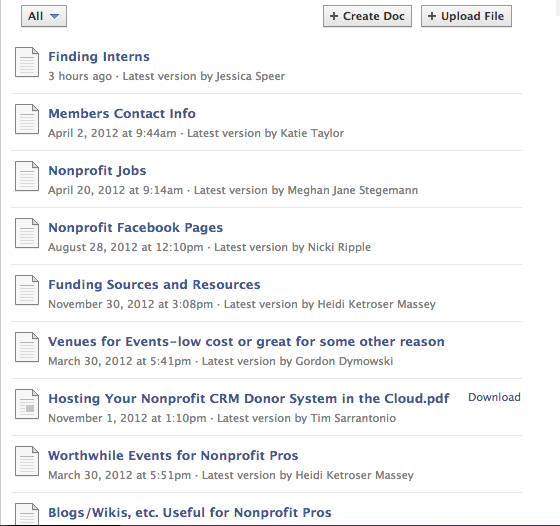 There are almost an overwhelming number of outstanding tech resources available for nonprofits that are totally free. I have never seen a list of all of these resources. So I decided to create one that includes the best of the best. The folks who run these initiatives are rockstars who you should not only know, but talk to about how they can help your organization. Please share any I missed in the comments. And hurry up and take advantage of all of these great opportunities! Connects nonprofits to creatives (photographers, writers, graphic designers, etc.) for pro bono project work. Advertising and design professionals in Chicago work on rallies, (8 week campaigns) to create programs and materials for nonprofits. Limited to organizations that focus on education, children, and families. Provides free recycling of electronic waste (like old computers) and incredibly low priced refurbished computers and other hardware. Their Earn-A-Box training program teaches participants about the workings of computer hardware as well as the environmental impact of e-waste. Graduates of the program can earn a free computer. 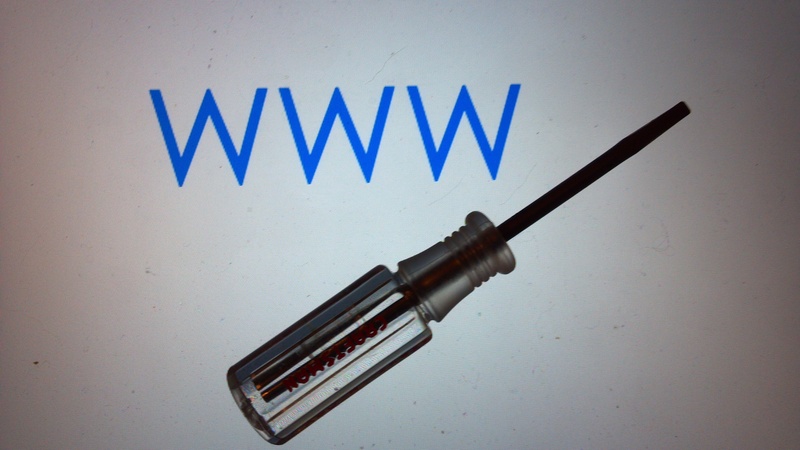 Communication, collaboration, and publishing tools, including email, all using your own domain name. If you aren’t a Google Apps shop, why not? It’s easy to use and will elevate your efficiency and productivity as an organization. Founded by Handson Network, Google, and Americorps Vista to help nonprofits deliver their services more effectively through the adoption of new technology. They have chosen 33 nonprofits in the Greater Chicago area for assessment and implementation of technology. They are also doing technology workshops for nonprofits and classes for low income community members. Cutting edge mobile Internet service for nonprofits and schools, including equipment, service, and access to the Internet. Yearly Internet charge is $120/year. Yes, per year! RUN IMMEDIATELY to sign your nonprofit up for this service. An initiative of TechSoup Global (see below.) From their site: “Enables social benefit organizations to leverage the tools of the social web.” As an organizer of the local (Chicago) NetSquared meetup, I tell people that we focus on tech, innovation, and social good. If you aren’t attending your local NetSquared meetup, you are missing out on some of the coolest people in your town. They are heavily focused on building community and impacting social good. Nonprofit Technology Network. Focused on helping people use technology to benefit their nonprofit organizations. They are a membership organization and hold a very large conference each spring, called NTC-Nonprofit Technology Conference. This tool is used for customer relationship management (i.e. donors, volunteers, sponsors, etc.) Receive up to 10 free licenses (10 users) for your organization. This unique mentoring program strives to increase the number of people who know how to correctly do web analytics. They provide pro bono analytics for nonprofits. That’s free analytics for your website. A global nonprofit that has created a network of people working to create and share innovative technology solutions. Through TechSoup’s partnerships with large technology companies, nonprofits can receive donated hardware as well as advice about which tools to use. Online sign up sheets, volunteer scheduling software, and volunteer management software. Loads of folks swear by them and are very satisfied. I love founder Karen Bantuveris. Especially great for schools. What did I miss? What are some of the other great free technology resources available to nonprofit organizations? Add them to the comments. And if you have worked with any of the above, let me know how that went. About a year ago, my virtual friend (not virtual pretend, but virtual, we connected on LinkedIn and until recently, had never met) Chris Jarvis told me to read The Tipping Point. I had heard of the book but didn’t know much about it. Chris told me I was a connector as described in the book. Little did I know how right he was. I don’t know if it is genetic or if connectors are created. But I do know that I just LOVE connecting. I have always been a connector for as long as I can remember. With the advent of new/social media like Twitter, the networking game has been taken to an entirely new playing field. For me, it is about connecting with people who teach me new things, inspire me to do more and who open my mind to a world I might otherwise not know about. All of this virtual connecting is allowing me to create some very interesting relationships with people with whom I might never have crossed paths if not for social media. I have developed incredibly close ties with people who I have never met in real life. Many of these relationships are as important to me as those with my very best friends. I know that this may sound quite odd, especially for those who are not familiar with social media. It sounds a bit crazy to me too! I really enjoyed reconnecting with some Chicagoans and meeting great Twitter friends in person that day. I have found that meeting people in real life has a profound impact on the depth of the relationship. But honestly, meeting Chris Jarvis, who has felt like a dear friend for the past year since we first connected virtually, made the entire afternoon surreal. It seems as though Chris and I have been friends forever. To speak with him in person for the first time just didn’t make sense. I literally could not wrap my brain around the experience. Just recently, “Social Media Today” posted a piece on their blog titled, “Social networks are redefining what a friend or a relationship really is.” In this post, it was suggested that words like friend may become less meaningful as it becomes easier and easier to vastly expand our networks. However, I would hate to casually dismiss my virtual relationships with people as not “real” just because we met online. These networking methods really are just tools that facilitate creating wonderful relationships with people. Ultimately some become equally meaningful to those relationships I establish through more traditional methods. I met Chris on LinkedIn. We only met in real life after an entire year of engaging online. But my friendship with him is one I treasure and is certainly of equal value to those in my non-virtual world. So, if you are one of those people who is resisting trying out some of these new tools, I dare say you are missing out. I can’t imagine my life right now without the incredible relationships I have gained through social media. It’s difficult for me to envision trudging through this past year of unemployment without that important community! So thank you to my new friends of this new world. You know who you are, but perhaps not how much I value your friendship! *Thanks to Bonnie Koenig (another GREAT relationship in my network) for inspiring the title.